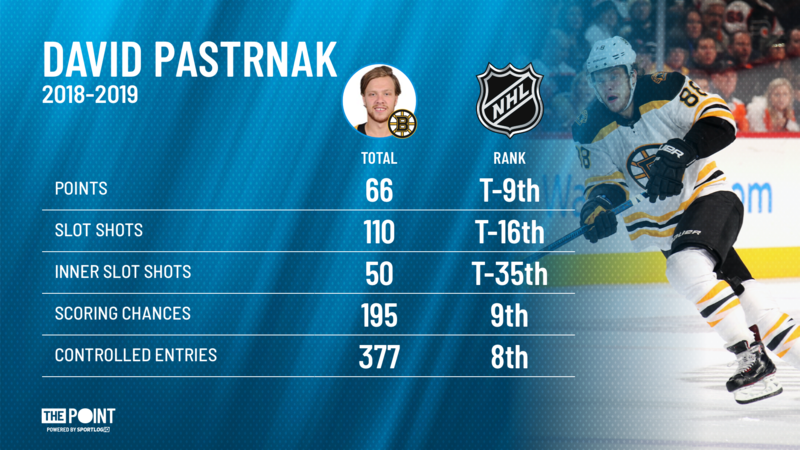 An Unfortunate Accident Sidelines Pastrnak - The Point Data-driven hockey storytelling that gets right to the point. The Boston Bruins received some unfortunate news this morning that their top scorer, David Pastrnak, will be out at least two weeks after having successful surgery on his left thumb. 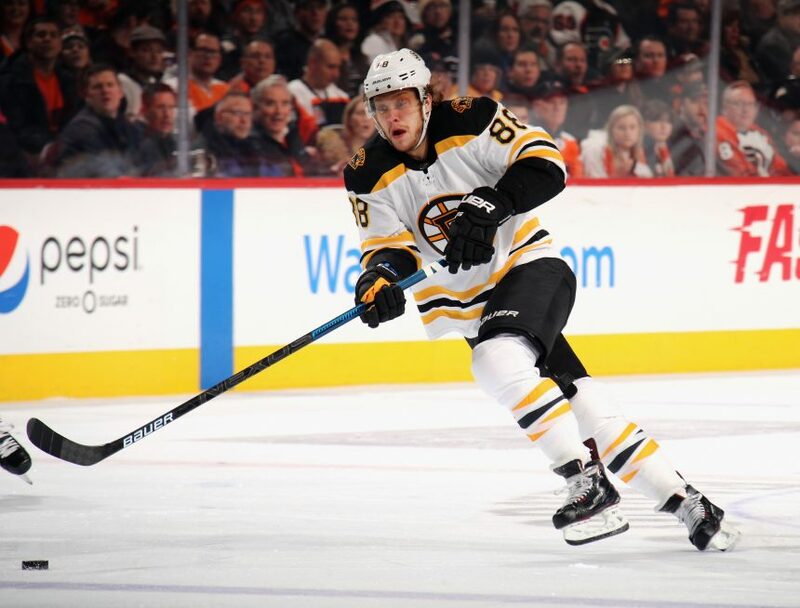 Pastrnak has been a stud for the Bruins this year, scoring 31 goals and 35 assists to be tied for 9th in the league with 66 points. 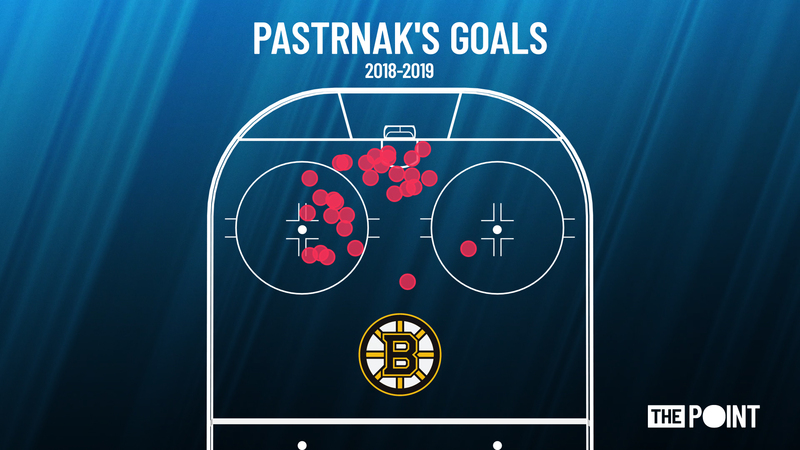 Pastrnak is a threat any time he’s on the ice, he gets a ton of shots and with his 15% shooting percentage, any shot he takes could very well go in. He also understands how to get himself in the right position to be at his most dangerous. Pastrnak essentially scores from two different spots on the ice. The front of the net or right by the face-off dot for a one-timer. His lethal shot has led to the most one-timer goals out of anyone this season, a big reason why they have the third best powerplay percentage in the NHL. Losing Pastrnak is a big blow to the Bruins who are in a tight battle for the last Atlantic Division playoff spot with the Montreal Canadiens. Every point counts and an unfortunate fluke accident could prove costly for the Bruins. Hopefully, his injury doesn’t prove to be too serious and we get to see him back out on the ice sooner rather than later.